President of the Caribbean Agribusiness Association, Vassel Stewart says that his organisation has a plan that will see producers of root and tuber crops in Caricom getting more access to regional markets. The ultimate goal of the plan is to reduce the quantity of value-added products that is imported into the region, and instead replace these with products produced here in the Caribbean. 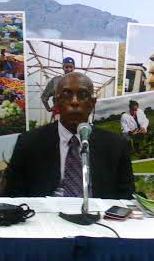 Using the importation of fries as an example, Stewart said that the quantity of fries imported into the region can easily be reduced by using fries made with local staples such as cassava and sweet potato. The plan to reduce to importation of fries and other products will include an awareness campaign focusing on the health benefits of using Caribbean food. In the area of wheat flour imports, Stewart is convinced that the region’s farmers can reduce the importation by up to 40% if governments adopt and enforce policies similar to what is done in Belize and Nigeria. “We have a situation in these countries, where it’s the policy of Government to incorporate locally produced cassava flour into the bakery products like bread, so with such a policy like that in the wider Caribbean this can result in major opportunities for our cassava farmers and cassava agribusiness,” he said. Overall the region’s food import bill is more than US$22 billion, but Stewart believes that a private and public sector partnership to use local products can change the importation over time. The hope is that the plan will be implemented within the next 2 to 3 years. 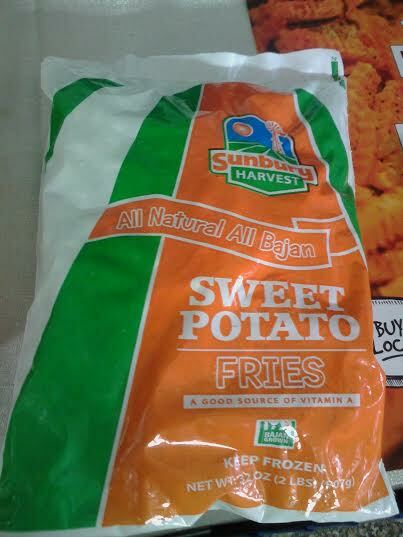 Stewart explained that already in Trinidad and Tobago there was a pilot project in which sweet potato fries were served at a popular fast outlet, and although there were varying reviews, there was an overall acceptance of the fries. Stewart said that his Association will sit down with owners of restaurants and identify some of the real barriers for the success of this plan, and they are already aware that cost is a factor. Statistics show that Grenada imported EC$1,376,829.95 in white potato fries in 2014.